The recipe that appears in the book is from Esperanza Ochoa (otherwise known as Donny Tsang's pseudo-adoptive aunt). Esperanza emigrated from Guatemala in the 80s and has been vending at the ball fields for close to three decades. 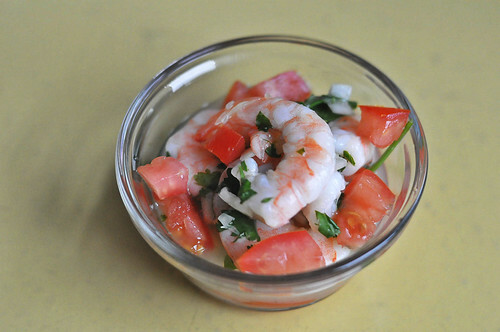 Her ceviche features plenty of onions, cilantro and tomato and is positively perfect for summertime.